Visit Vayo Massage to get a Real Thai Foot Massage in Phuket! 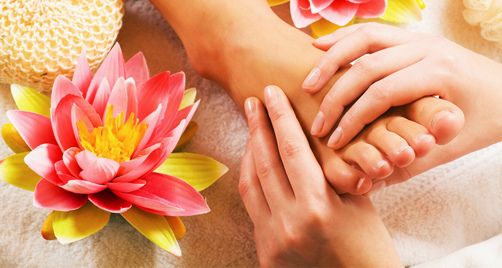 Our Professional Therapists will let you experience a relaxing Foot Massage. Foot massage has been practiced in Thailand and many cultures for centuries to promote health and well-being. Massage is considered an alternative medicine used by millions to relieve pain, reduce stress and anxiety, cure injuries and boost your general health! The practice of Foot Reflexology massage involves applying pressure to specific points on the feet in order to affect various parts of your body. Vayo Massage Therapists will use hands, fingers, thumbs, knuckles and a rounded wooden stick with lotion or oil. – One important point is the solar plexus reflex, when the solar plexus point is pressed on, stress is released and the body is renewed! Relieves Stress and Fatigue as it loosens stressed out muscles. Really Rejuvenating as it releases any blockages holding back energy. Better mood and better sleep! Balance and Harmony, Energy and rejuvenation, Enhancement of Immunity. Phuket Reflexology Foot massage is great! Visit Us for a Foot Massage in Patong Beach! !